Fold over dough and seal edges of the dough. You should have a half circle now. This is one of Hubster’s favorites… He like’s his classic, I like mine with spinach and cheddar! See, I think this is another one of those recipes that you knew I would love lol. I haven’t had a calzone in years! So you think I’m going to make this recipe? Hell yeah I am lol. Love this. I am glad you like it 🙂 I am definitely craving another calzone now. Hope you are having a wonderful day!! Calzones are my FAVORITE! I’ve been craving them for a long time now. Do you have a whole wheat pizza dough recipe?? As for additional ingredients, my favorites are sausage, meatballs, fried chicken cutlets, sauce, mushrooms, fresh garlic & broccoli. Mama Mia’s used to make the best ones in the area. Makes me miss our old friend Mario, the owner. Mario made everything amazing. He was like our big, male, mom. Yumm. This is just like the pizza to go, so handy yet delicious! Yup 🙂 I hope you try it and enjoy it! 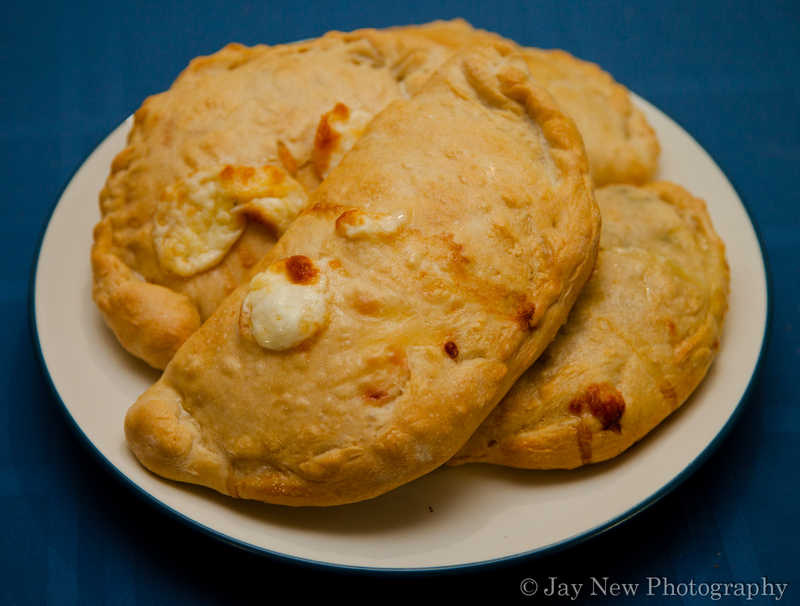 These were SO much better than the calzones…. I hate to say it….. in all the pizzarea’s in all of Brooklyn. wow, thank you! That could possibly be the best compliment, I could get with this dish 🙂 I love you so much!